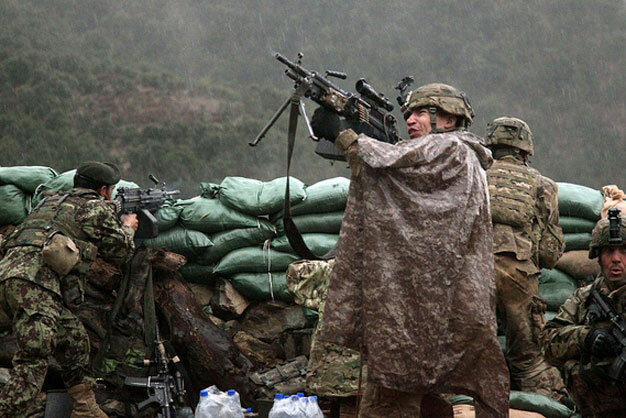 A U.S. Army soldier with the 101st Airborne Division returns fire with a M249 light machine gun during combat operations in the valley of Barawala Kalet, Kunar province, Afghanistan, on March 29, 2011. DoD photo by Pfc. Cameron Boyd, U.S. Army.